Is there anything more refreshing than a lime? Limes and lime juice are a common ingredient in many delicious drinks. They have a vibrant, sour taste, and they are packed full of vitamins. Limes are probably best known as an abundant source of vitamin C, which is one of the most powerful and important antioxidants found in nature. Does that mean you should add lime juice to your dog’s diet for an extra boost of vitamins? The answer is absolutely not! Limes are toxic to dogs, and you should never feed a lime or lime juice to your dogs. As a matter of fact, contact with the peel of a lime fruit and the leaves of a lime tree are dangerous to dogs too. For the safety of your dog, you should never allow him to come into contact with any part of a lime tree. The leaves and fruits of lime trees contain aromatic oils and psoralen compounds, which are toxic to dogs. Psoralen compounds occur naturally in many common foods including figs, celery, carrots, cumin, and mustard. Safe for humans, psoralen is an ingredient in some skin treatment medications for humans. But what about psoralen compounds and dogs? When a dog consumes any part of a lime, the psoralen compounds can cause vomiting, diarrhea, depression, and sensitivity to light. Additional symptoms include trembling, drooling, and loss of muscle coordination. 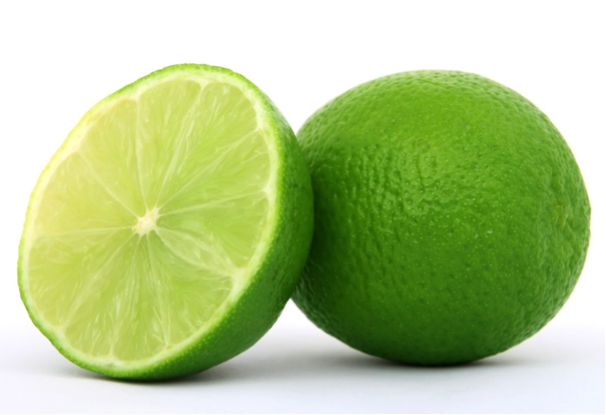 The severity of a dog’s symptoms depends on the amount of lime exposure, and whether the dog ate lime or absorbed psoralen compounds through his skin. Excessive and prolonged lime exposure or ingestion can lead to liver failure and even death in dogs. If your dog consumes a small amount of lime or a small volume of lime juice, his symptoms will probably be mild. You should withhold food for 24 hours and only allow your dog to drink water. The water will help flush the fruit out of his system. But if your dog consumes an excessive amount of lime and begins to vomit or suffer from diarrhea, you should seek veterinary treatment immediately. Skin exposure to lime leaves and lime peels requires treatment too as your dog can absorb the toxins in limes through his skin. Your dog may develop a skin rash, which will most likely affect his groin area. To treat skin exposure, you should wash your dog thoroughly with liquid dish soap and water. Repeat the bathing process until all traces of the citrus oils are gone and your dog no longer smells of citrus. You should dry your dog and keep him warm, as well as monitor him in case any additional symptoms arise. Limes and Dogs Are Never Funny! There’s been an alarming trend on the internet during the last few years. Videos of people feeding their dogs sour citrus fruits have been gaining popularity online. Unfortunately, many people find humor in dogs’ reactions to the taste of citrus fruits, and they do not realize the potential danger of their actions. Most dogs hate the smell of citrus, but your pet trusts you, and he expects you to offer him treats. If you attempt to feed your dog a lime, he will probably give it a try. As funny as it may seem to watch your dog’s face pucker from the sour taste of a lime, you should never make the mistake of feeding him a lime or any other citrus fruit. While there is a long list of foods that are unsafe for your dogs, most of them are not harmful to your dog if they touch his skin. However, every part of a lime is toxic to your dog. Not only should you avoid feeding him a lime, you should make sure he never comes into contact with a lime tree period. And don’t forget that dogs love to raid garbage cans; make sure you safely dispose of your leftover limes and lime peels. If you want to offer your dog a fruity, nutrient-rich snack, there are plenty of safe alternatives to limes! Seed-free applesauce is a healthy treat for dogs and a good source of vitamin C. Bananas are another safe fruit when fed in moderation. The bottom line is this. For the health and safety of your dog, you should always avoid limes and all other citrus fruits.